A year ago I was sitting at home with the left over baby bulge and thought “Right, enough is enough, this weight has to come off” So I told James to dig out the camera and stripped off and took photos and proceeded on my journey to regain my pre Mummy figure. I set a goal to compete in a bodybuilding competition by the time Elias turned one as a way to keep me on track. To celebrate my anniversary I did a fun run .. to me, the words fun and run, seem like an alien concept, but I got up early, dressed in tight lycra, donned my running shoes and headed across town with Lavinia to run 5 kilometres just because I could. What a way to celebrate! 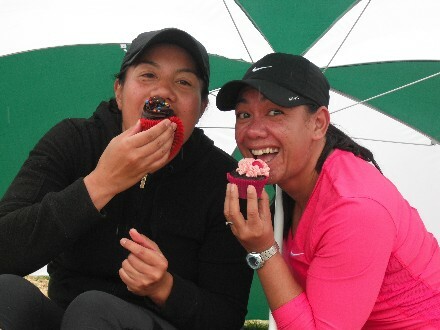 Although If Im totally honest .. the lure of a cupcake post race was a helpful little carrot on a stick. So 32:22 seconds after starting I crossed the finish line, not too bad at all for a non runner like me especially since there were hills, big ones! 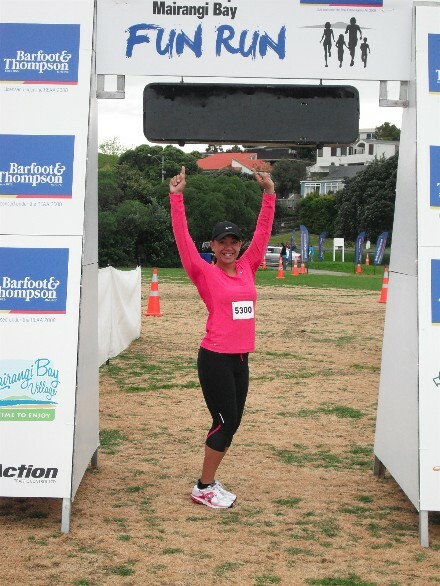 I honestly thought the course was going to be flat .. and there was no mention of beach running and crossing streams in the brochure!